Higher light levels and low glare luminaires are priorities for Light/Space/Design in environments for sensitive populations. 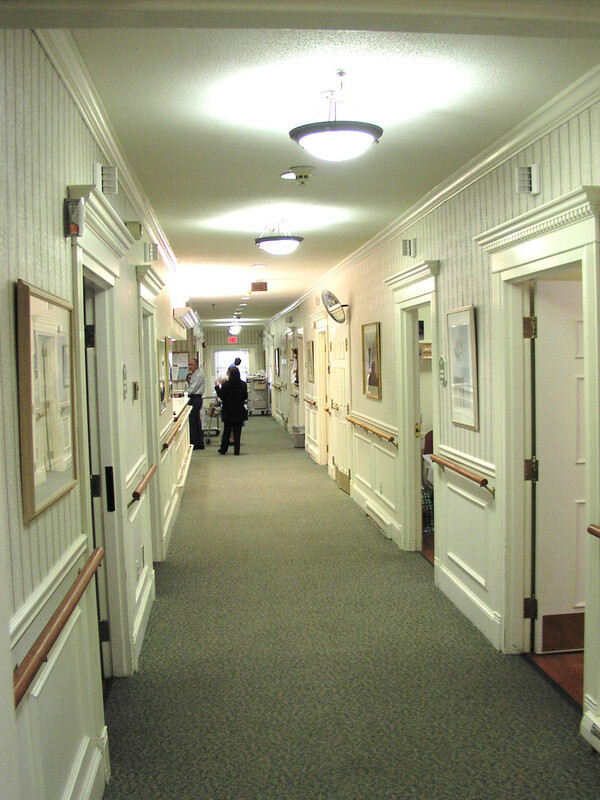 Managed care providers value Light/Space/Design’s expertise in improving lighting in existing assisted living units for better health care results. Light/Space/Design advances lighting practice in health care environments through its knowledge of Human-Centric Lighting principles. Lighting and décor of health care environments makes a visual statement about the care and treatment of patients/residents. Soft, welcoming light, free of glare and harshness helps relieve the visual stress from an environment that most of us find quite stressful. Lighting for health care environments takes many forms, from highly specialized lighting in operating suites to home-like settings in waiting areas and patient recovery rooms. Incorporating efficiency and maintainability into these settings requires an eye for design, the power of advanced technology, as well as sensitivity to people with special lighting needs. The needs of staff may not be the same as the needs of the patient or resident. Solving for both often requires balancing stated illuminance requirements with comfort. The selection of fixture type is critical. Glare is annoying, but never more than for a patient on a bed, gurney, or dentists chair. Make sure lamps (bulbs) are not visible, or are well shielded. Decorative wall sconces and pendants can add flair and an element of design, and are often added in renovations. However, inadequate ceiling heights, lack of a clear visual pattern in locating such fixtures, and inappropriate fixture selection can result in “hot spots” and less than optimal results. 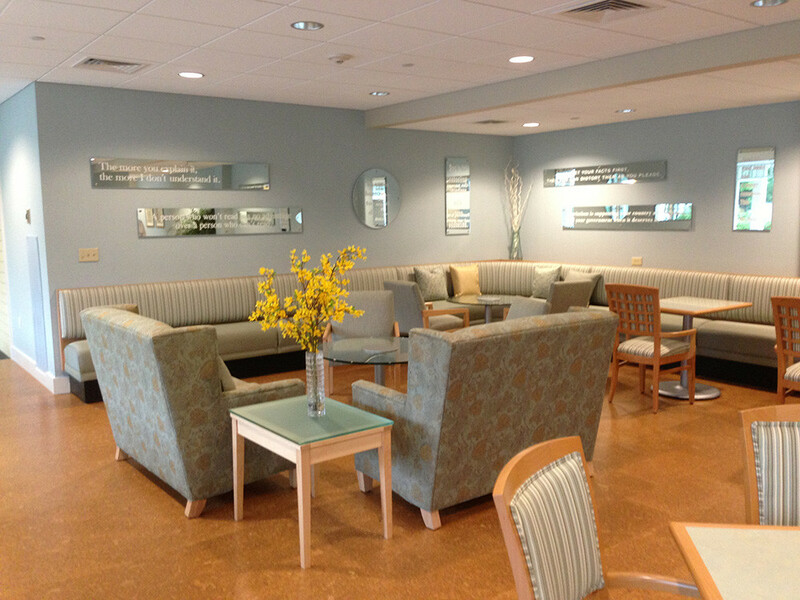 Living environments designed for elderly residents requires great attention to lighting all surfaces. Recessed lighting alone is usually inadequate, and may even cause glare problems for special patients, like those with Alzheimers. Daylighting has a positive effect on people both physically and psychologically, and needs to be planned into all types of facilities where people spend many hours per day. This is especially true for hospitals and living facilities for the elderly or infirm. Research is ongoing regarding the body’s need for sunlight and/or high quality intense light to sustain our body’s production of Vitamin D. Seasonal Affective Disorder (SAD) is also related to inadequate levels of sunshine and high quality light. Views are very important, although even spaces without a good view can be made more livable with special lighting tricks to create the feel of daylight. Lighting spaces for people with visual impairments is not just a matter of providing higher quantities of light. Lighting the pathways, obstacles, and projections without glare can make life easier, safer, and better for those with conditions such as glaucoma and other degenerative visual conditions.